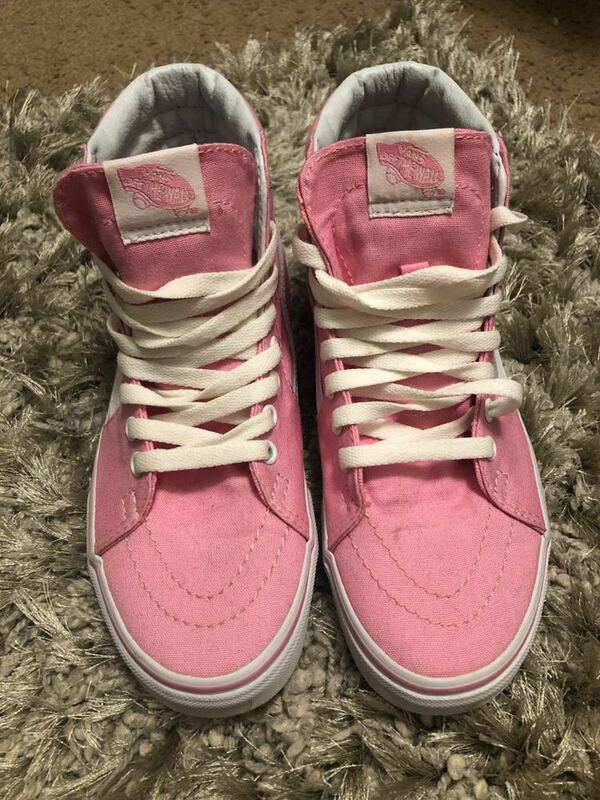 Pink sk8 high vans, i loved these shoes and always got compliments! You can easily add color to an outfit with this shoe while keeping it casual. men’s 5.5, womans 7!